Small Business Help Blog | Helping small business with information and resources. Helping small business with information and resources. Unlike larger companies and prominent brands, small businesses have a harder time allocating significant funds into Internet marketing services. As a result, many small businesses take on such Internet marketing initiatives in house. Whether these duties are taken on by the business owner or a web-savvy employee, the matter of experience and resource allocation can be an issue hindering growth. However, my investing a company’s efforts in the right platforms while employing effective strategies, small businesses can successfully leverage the benefits of Internet marketing. In this post we are going to take a look at five different platforms, strategies, and techniques that can help any small business grow its online footprint and attract new customers via the Internet. Social media is and will continue to be one of the most important assets for your small business. While you don’t necessarily need to be present on all social media platforms, it is vital to choose a few of the most relevant sites and stay consistently active on each. While Facebook and Twitter are among the most common, perhaps consider including Instagram, Pinterest, YouTube, LinkedIn, Google+, and other rich media channels to connect with your target audience. Think about the type of content you wish to produce and share, and how this relates to your business. Even if you’re able to shoot short videos (even very brief 5 second Vine clips,) then Instagram and YouTube maybe good ways to get your business known. Further, you can experiment with new and emerging ideas like Facebook Live or sharing interesting videos on Twitter and Instagram. In essence, cultivating a following on social media platforms will be pivotal to helping to grow your business and position your local brand in an pronounced, authoritative manner. 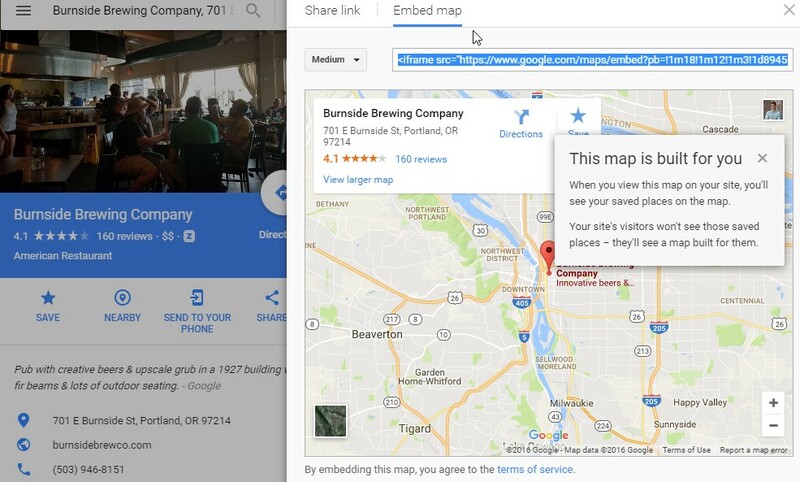 Claiming and verifying a Google My Business is first step to better ensure that your business appears in the local pack as well as in Google Maps. Take the time to populate this page to 100% completion, and verify it using the phone call or postcard submission process. Once this is defined, implement your keyword target on your site in the following locations: Page Title, Meta Description, and on the page copy itself. You don’t have to stuff your keyword multiple times. Instead, just mention it a once or twice where it makes sense. Lastly, be sure to include the Name, Address, and Phone number of your business in the header or footer of your site (so that it appears on all pages.) This is a very basic yet important trust signal that Google considers when ranking sites in the local pack. It’s also best practices that most local SEO providers will agree upon. Next to SEO and ranking in the local pack and/or organic search results (yep, you can rank in both,) another potential cornerstone to your small business Internet marketing program is Pay Per Click (PPC) advertising. Here you bid for ad positioning at the top of Google’s search results and you pay only when someone clicks your ad. Depending on what your small business offers, the cost per click can range from a few dimes to a few dollars. For instance, if you sell an inexpensive product like “vinyl records in Atlanta,” the cost per click will probably be pretty cheap. However, if you’re a plastic surgeon who specializes in rhinoplasty, then you may pay upwards to $10 for a click. Nonetheless, it’s an immediate and highly-effective way to advertiser your business in front of individuals who are actively searching for what you have to offer. To learn more, hop on over to Google AdWords to get started. The sometimes offer new advertiser incentives that can make testing the waters more inviting. Lastly, there are a number of Internet marketing benefits to be had for small businesses that regularly produce content. Not only does this give you something to share on social media, but it can also help improve your online reputation, brand image, and even your SEO efforts. While blogging is the most conventional form of content marketing for most businesses, you can go beyond the blog post with video content or even just images to share on platforms like Instagram, Twitter, Facebook, and Pinterest. Producing content on the regular can help define your small business as a local authority in more ways then one. Creating shareable content can result in more local customers becoming aware of your business and what it has to offer. This can also result in more trust signals (via Google) helping to increase your site’s authority and keyword rankings in search. The best practices of local SEO and Google Maps optimization are always evolving. As Google continues to unveil new algorithm updates, SEO’s and local business marketers must adapt their practices accordingly. While there are many advanced strategies that go beyond the scope of this article, below are a few Google Maps SEO tips and best practices that will stand the test of time. Getting ranked highly is heavily influenced by the amount of top directories in which your business is cited or included. For Google to rank you highly, it has to determine that your business is real. It does this by the number of citations (business listings) that your business owns throughout the web. The “citation” is simply the name, address, and phone number (NAP) of your business, and Google crawls this data to compare with other listings. Your business’s NAP should show up in greater frequency to better your chances in showing up in search engines. Further, NAP data needs to be consistent across all listings to maximize credibility and SEO value. 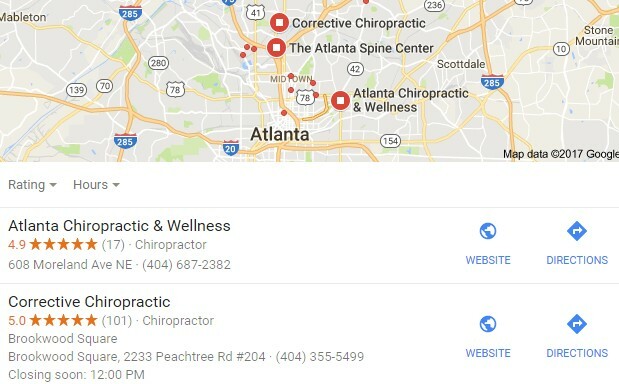 Some optimization and marketing companies that specialize in Google Maps SEO, such as CaptivateLocal.com, provide services in citation building. To make your business presence known, your NAP should also show up on your website. SEO best practices are to include you business NAP in the footer and header section of the website so it shows up on all pages. Further, the NAP should also be indicated on the contact page. Some businesses use Schema, or structured data markup to further optimize their site for higher Google rankings. Schema markup consists of special HTML tags to better define your sites content (a communication mechanism in a way) for major search engines (namely Google, Yahoo, and Bing. It is also a good SEO practice to embed your business’s Google Maps listing in your website, such as on your contact page. This also helps communicate to Google the precise location of your listing and it’s usually sync with your Google My Business page. Embedding is easy to do. 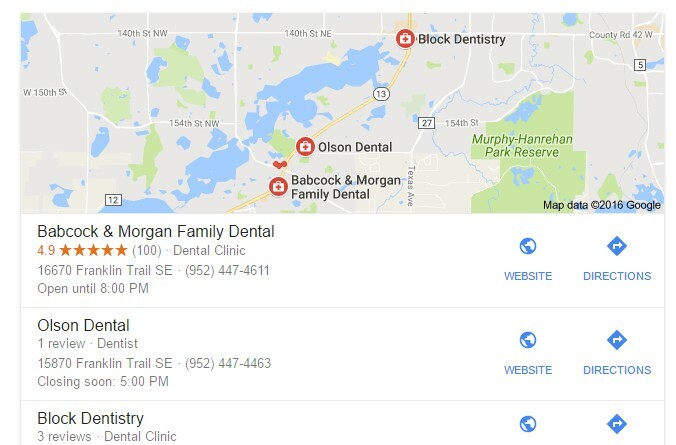 You search for your business name in the Google map found in the search bar area located on the upper left portion of the screen. You then click the share or embed map portion to finish the process. Google has emphasized the need for businesses to establish their online presence in 3rd party websites. In the case of a change in address, you need to update these listings to adhere to your current address. 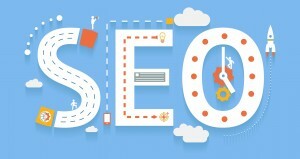 Using the latter SEO techniques in addition to earning a wealth of customer reviews is surefire way of getting Google’s attention. A Google My Business page with significantly more reviews will give greater authority compared to those not having any reviews. This practice is in line with Google’s manner of providing the public with the most relevant search result, by ranking pages with the most reviews. This is just one of many variables with local SEO, but an important one. If you have done all the changes but still noticed that your rankings have not gone up, you may need to build more citations to push it up. There are many ways to do it and that includes studying your competitors and the search market. You need to find out where your competitors are cited. If your business is not listed, add it. 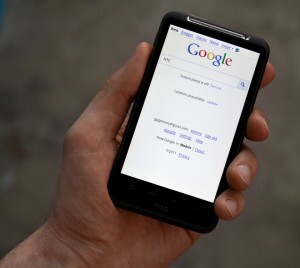 Google has often used citations as a means of providing the search engine with the most relevant business citations. Virtually every local business seeks to rank higher in Google Maps. Attaining placement in the local Google Maps search result is major marketing tool. As a result, many local business seek actionable Google Maps SEO tips and strategies to improve their search rankings. Office mailing machines are very important for any growing business that’s engaged in high volumes of outbound mail. Some of the most popular mailing machines based on their ROI include address printers, postage meters and labeling machines. Let’s take a closer look at the features and benefits of these vital mailing machines for business. Envelope address printers are very important for any corporate mailroom or small business office that is steadily growing. These envelope address printers are able to provide you with high quality service and meet all your needs. It is very important for you to clearly understand the features of the address printers so that you can be able to know how it will help you. Below are some of the most important features of addressing systems and address printer machines. It has a high speed and and can be able to process about 4,300 to 36,000 pieces every hour. The printer is capable of working well with a tabletop and a desktop. The color is incredible , sharp and the graphics are actually spectacular. You can therefore rely on this printer to provide you with high quality products. Can be able to effectively work on return addresses, print addresses, postal barcodes , permit indica and attention lines. It is also worth noting down that the printer meets all the requirements of the USPS. It is versatile and allows all mailers to be able to effectively print return addresses, permit indica and recipient addresses. It also has a high print speed that ensures you’re able to finish your work on time. Postage meters are the gold standard among business postage machines that are used to apply or create evidence of postage that is physical to a component that is mailed. Postage meters mainly include a keyboard that is used to enter the postage, a mechanism for stamping, and three seals. 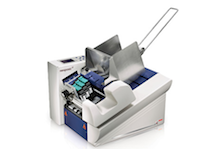 Below are some of the primary features of today’s postage meters. They normally have credits that are preloaded for postage in the future. This makes it easy for you to create a sustainable budget. The machines are also able to save the settings at ease making it very easy to use them. Some of them also have the ability to print shipping labels making it quite versatile and useful for any business. Most also have a feed mechanism that works effectively to ensure that you always get high quality service at all times. They have an automatic feed that ensures you’re able to get work done effectively. They are also quite versatile and important for any office. For more information about postage meters as well as other business postage machines mentioned here, visit Walz Label & Mailing Systems. Labeling machines are mailing machines that are mainly used to completely finish the process involved in packaging. 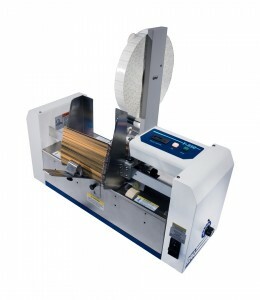 Postage labeling machines come in various configurations depending on the type of packaging that you require. Provide you with a variety of choices like wrap labeling, top labeling, apply labeling and bottom labeling. There are many types of labeling machines which include glue labeling machines and also pressure sensitive machines. They are faster when compared to manual packaging methods and generally improve labor productivity. Ensure that you always get high quality packaging. Improve the working conditions in your business due to reduced labor. These business mailing machines are very ideal for any company that is basically trying to improve its internal mailing system. This is because they always provide you with high quality service at all times. Practice Management (MaximizedRevenue.com) is a professional medical billing company that offers a wide range of medical billing services and consulting solutions for various healthcare providers. From simple services like health center billing programs to complicated solutions for plastic surgeons and Federally Qualified Health Centers (FQHC) billing, Practice Management offers almost all billing services needed by physicians. Since mid 1990s, Practice Management has been helping physicians run their healthcare businesses more efficiently and effectively. The company aims to help the medical services providers obtain the highest returns in the most timely manner. Using a state-of-the-art technology, an aggressive revenue cycle management system and experienced medical billing specialists, the company ensures their customers enjoy lower overheads, faster payments, enhanced cash flow and improved patient satisfaction. Practice Management is reputable for its FQHC billing services. In fact, these are some of the services that make the company the most sough-after in the US. This form of medical billing is a complicated one, but the company uses a highly-professional approach to develop specialized and reliable solutions for it. The company also touches on the related medical billing services like CHC billing, FQHC-Look-Alike billing and coding, including medicare and commercial medical insurance, medicaid, dental claims and behavioral health. The health center billing services are facilitated by experts who have specialized in almost all medical fields, including family practice, pediatrics, internal medicine, OB/GYN, dental, behavioral health and cardiology. In order to maintain the quality of the services, the company works with EMR Practice Management Systems like Nextgen, eClinicalWorks, GE Centricity and Allscripts. The company employs routine standard & customized reporting to facilitate this form of healthcare billing. It works with the physicians to determine the right reporting requirements for their businesses. This enables the company to design reports that meet the needs of the physicians, giving them a personalized billing experience. The company carries out FQHC billing solutions as an on-going consultation task. Some areas that require consultation include: coding, front office procedures, software usage and financial policies & procedures. The revenue cycle management service is also performed in a consultation way, especially in software file setup, configuration & maintenance, analysis of accounts receivable and actual accounts receivable recovery. In order to ensure their customers get paid, Practice Management performs effective credentialing for all medical services offered. This also saves time for physicians and increases security for their health centers. The FQHC billing services are characterized by a high degree of legal compliance. The company conforms and adheres to all federal, state & local laws as well as statutes and regulations. This ensures they manage their customers’ billing processes in an ethical and legal way. The company also uses software integration to facilitate the billing process. It performs the process via remote control to the physician software. For customers who are easily accessible, the company does appointment scheduling for their convenience. Finally, Practice Management has a patient contact service system that greatly boosts the FQHC billing solutions. The system can be customized to meet customer needs. It comes with services such as patient statements, outbound calls, past due letters, toll free inquiry, web-based payment portal and the company’s patient service representatives. Technology has completely changed and enhanced how businesses go to market. With the internet taking over much of the work and proving to be very efficient for marketing, smart businesses need to leverage various SEO and search engine marketing strategies to be found in Google. While SEO can seem like a confusing endeavor for most small businesses, there are many basic and easy-to-understand ways in which a small-to-medium sized firm can thrive with SEO, even against a tough competition and saturated geographic market. As much as you may not be able to surpass the giants in the Google search engine rankings for highly competitive keywords, you can narrow your keywords to a specific long-tail keywords that are less competitive. Do this by researching highly-relevant keywords for your SEO campaign, and focusing on 4-5 word phrases that are less competitive, but still attainable. Good places for insights include IncreaseYouRank.com and the WebPresenceGroup.net, both offering a wealth of resources and strategies for long-tail SEO for small businesses. Just like a politician calls for reinforcement from popular people and influencers, the small business can employ the same trick and link up its website with other well-established sites for backup. This has a great effect on enhancing a site’s credibility through the eyes of the search engine. It is this credit that will boost the site and pull it up the search list. Appearing high on the search results list increases chances of being reviewed and hence improved traffic. But link building is not the end all be all. Check out this great post at Moz.com about earning links. To move up to the top of the search results and generate more traffic for your business, there is no other magic but to enhance the quality and visibility of your website which calls for the employment of a web development and web design company, like FacetWebTech.com, for assistance. A strategically designed website is what you need. Seico Security is one of the leading companies when it comes to provision of comprehensive security systems and monitoring solutions for different types of clients in Peoria, Illinois. Some of the primary security systems and professional services provided by Seico Security include: wireless security systems, access control systems, fire/burglar alarm systems, outdoor and indoor video surveillance systems (CCTVs), alarm monitoring, and other related services. The company provides these solutions to different types of clients such as commercial, residential, industrial, and financial applications. Seico Security is trusted by its Peoria area clients mainly because of its high quality services and its vast experience where it has been providing security and surveillance solutions since 1972. As a result of the many years this company has been operational it has been able to clearly understand the security needs of different types of clients. The company has also been adopting the latest security improvements where it provides state of the art security solutions. It combines engineering, consultation, design and specification services for the security systems in Peoria and in the entire Illinois. Through the combination of these qualities the clients who come to this company are usually guaranteed to get solutions that will effectively enhance their security and surveillance. 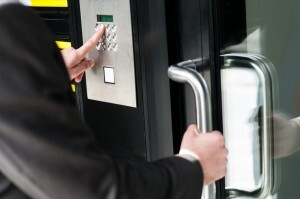 Further, the security solutions provided by Seico Security are effective and simple to operate where one does not have to be an expert to use these solutions. Through the provision of these solutions, the company is able to ensure that different types of clients from this area of Peoria, Illinois are able to get the solutions that suit their needs perfectly. This has resulted to Seico being recognized as one of the leading security systems and CCTV video surveillance companies. Another quality that makes Seico Security regarded highly in the Peoria area is that it is a member of the Prairie Technology Alliance which is a renowned single source IT service organization in Peoria and the area of central Illinois. This organization has a reputation of being able to effectively provide different types of technological solutions. The members of this organization are known to follow a very strict and uniform code of ethics. The adoption of modern surveillance and security solutions by this company has resulted to the different types of clients getting better solutions to their security problems. 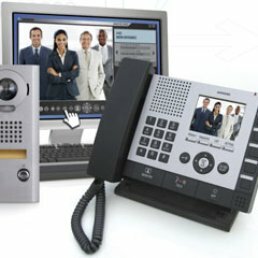 This is facilitated by the company having a dynamic and well informed team of technician who can handle even the most modern security solution. Seico Security also ensures the tools and equipments used are of the highest caliber to make clients get full value on the investments they make when it comes to security. The company also has the ability to handle small, medium and big customers without struggling. 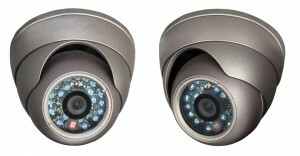 This means almost anyone with a security or surveillance needs can get the right solution from the company. All what one needs is to contact the company where one is received by friendly and well informed attendants. Therefore, it is evident that the outlined qualities make Seico Security one of the leading security system companies in Peoria, Illinois. 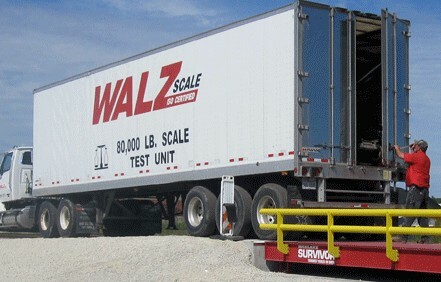 Walz Scale is a global supplier of advanced truck scales and weighing systems. The leading supplier is also a service support provider for truck scale calibration and maintenance. 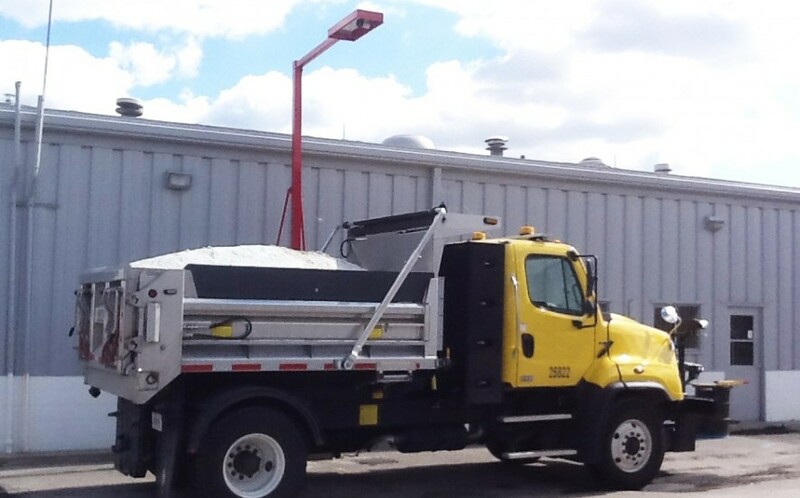 From truck scales and loader scales to load scanners and wheel weighers, the company offers the widest selections of scales and weighing products for sale and rent in Midwest. The company has been in the business for nearly half a century. It covers industries and sectors such as mining, agriculture, waste, laboratory, agriculture, transportation, chemical, recycling and aggregate. There are four categories of the systems offered by Walz Scale: Walz Scale, Walz OnBoard, Walz Mining and Walz Scanner. Here are specific scales and weighing systems from the company. The company is a reputable source for mobile on-board scales and weighers. Under the company’s on-board truck scales division, Walz On-Board, the company supplies portable truck scales, farm and general agricultural scales, lift truck scales and material handler scales. Some of the scales are used in cold planers and conveyor belts. 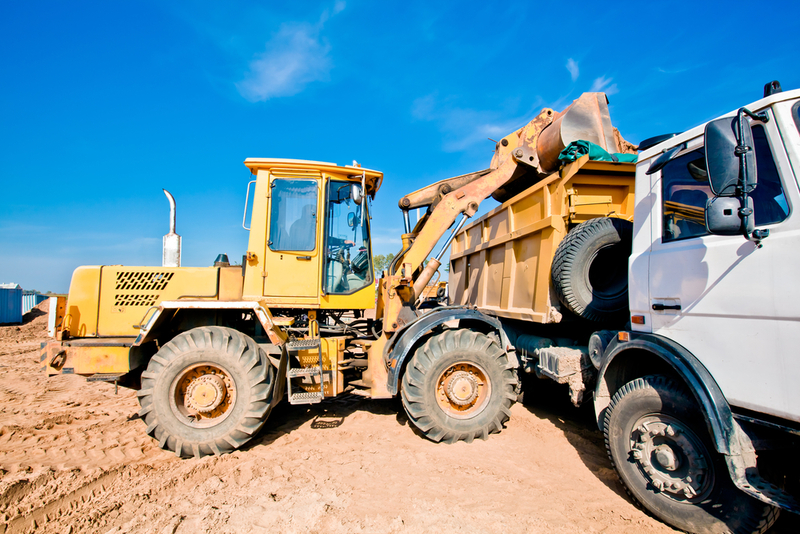 Examples of the on-board truck scales include: articulated, backhoe loader, mobile crusher, industrial loader, haul truck, skid steer, telehandler, underground truck, wheel loader, dump truck, cement truck, refuse truck and tractor/trailer scales. Walz Scale is famous for offering versatile, powerful and efficient weighbridge truck scales. The company supplies these products to mining, agricultural, logistic and shipping companies. High-volume miners and farmers get heavy-duty scales and steel-deck scales respectively from the company. The weighbridge equipment comes with the best designs, including open-pit, above-ground, heavy duty and full platform. Specific weighbridge truck scales include: portable wheel weighers, portable axle scale and HD truck scales. HDAW-series wheel load weighers – The HDAW-series wheel load weighers are suitable for use in heavy weighing and harsh conditions. The aluminum-constructed HDAW-series wheel weighers come with access ramps, weighing pads and digital weighing terminals. OTR wheel weigher scales – The OTR wheel weigher scales are the industry choice for high-volume, high-capacity weighing. They take weights of large OTR tires for off-road vehicles in farming, mining, freight and shipping sectors. Load scanner systems take real-time load volumes with the help of a world-class load scanner technology. The standard features of the systems include volume load scanner, in-motion load scanner, HD load images, low maintenance scanner technology and simple load scanner platform. A typical load scanner system, such as the Walz Load Scanner or the Load Scan system, features a mounting hardware, a 3D laser scanner and a display screen. The most popular systems are volumetric payload scanners, otherwise known as load volume scanner systems. The two scanners can be applied in mining, resource aggregates, waste management and road construction. Customers who need to rent truck scales for short-term weighing solutions are catered for by Walz Scales. This equipment is highly-reliable in handling a wide range of load management and weighing processes. It is fully tested and provides certified accuracy. As for the support services, Walz Scales offers local support to individual customers and organizations. The company meets specific needs of customers by providing individually-tailored solutions. With all these truck scales and weighing systems together with the support services, there is no doubt that Walz Scale is a leading global supplier of these products and services. When it comes to buying computers in Peoria, IL, there are several specialized business that are unbeknownst to many. Instead of flocking to Best Buy for your next computer, consider one of these Peoria Area computer shops that will offer you better customer service, ongoing support, and custom computer capabilities, if you need something a bit more high-end. Without further hesitation, below is a brief review of the three best places to shop for computers in Peoria, IL. Tekease is perhaps one of the most popular computer store in Peoria, IL. Whether you are looking for a new of a second hand computer in Peoria,think of Tekease. Tekease make the process of buying a computer in Peoria very easy by giving their customers free computer consultation thereby helping them to make the right decision. The opening hours of this computer store are Monday to Friday from 9AM to 5 PM. Tekease offers the best computers, computer products and accessories as well as computer services in Peoria, IL. Whether you are in need of a new mouse for your computer, a wireless headset or even a desktop cellphone, then Tekease is the best place to consider. There are many benefits that you will enjoy once you choose Tekease as your favourite computer store in Peoria IL. First, the company’s professional staff will give a free new computer consultation service thereby helping you to make an informed decision about your technology purchase. Secondly, Tekease will also offer you with complete array of technological solutions which include new laptop, desktop computers, managed network solutions, antivirus software as well as laser and inkjet printers just to mention but a few. The second reputable and highly-rated computer store in Peoria IL is the Facet Technologies. Since 1989, Facet Tech has specialized in residential and business computers systems and IT solutions, thereby meeting nearly all digital-based demands in Peoria, IL. Facet Tech proudly serves both Peoria and central Illinois with highly trusted IT consulting as well as computer networking solutions for various types of businesses. Facet Tech provides numerous exciting products and services, some of such services include, business IT support, home automation, business system sales, IT consulting, computer repair services data recovery services, virus removal, website development, and IT staffing just to mention but a few. Unlike other computer stores in Illinois that provide various professional IT solutions, Facet Tech prides itself for having a unique combination of both creative and adaptive IT professionals. Besides that, Facet also has decades of experience in providing advanced IT support and services throughout Illinois hence making it one of the top rated store in Peoria IL. Finally, but not the least, is the PTC Computer Shop in Peoria. Just like in the other computer stores, PTC computer stores also opens weekly from 7AM to 7PM apart from public holidays. 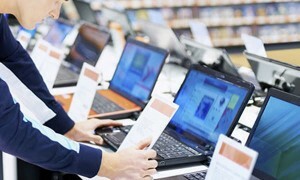 Best buy offers myriad of computer services and products which include remote computer repair, on-site computer repair, IT consultancy and GPS installation services. Besides that, PTC also offers latest HDTVs, smartphone technology gaming as well as the latest computer models. Individuals who turn to the Internet to research plastic surgeons in the area do so find a qualified surgeons in their area. As such, plastic surgeons who want to acquire more leads and patients can increase their potential with a SEO company that specializes in ranking plastic surgeon websites. In this post, we’re going to take a look at the top five plastic surgeon SEO providers on the web, helping you a surgeon find the ideal company to help increase your search engine visibility. Ceatus is known for having clients that have the best rankings in their respective market. 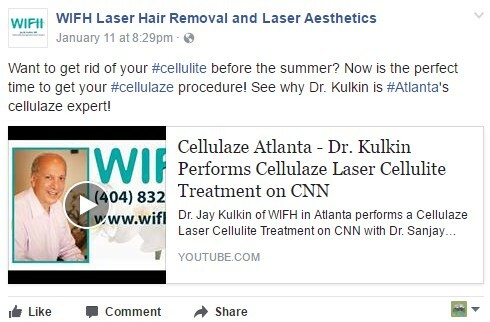 Their medical SEO team have a proven record for being able to generate top rankings for extremely competitive plastic surgery related search terms. By working with this plastic surgeon SEO company, you can create various strategies for the sole purposes of helping your practice achieve maximum patient acquisition through qualified leads. What makes them unique is the fact that they design various programs that surround different surgical procedures to maximize the number of patients your practice receives in regards to scheduling consultations for various surgical procedures. Visit ceatus.com to learn more. 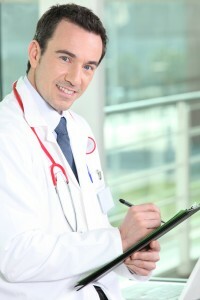 Optimized Surgeons is well known for their unique approach to the medical search engine optimization sector. The aspects that set Optimized Surgeons apart from other medical practice SEO firms is the fact that they host several publish platforms that they use to spread awareness about your services. They even have a staff of medical-savvy SEO copywriters who are well aware of medical terminology as well as to how use the right verbiage to resonate with your audience. In a nutshell, the company’s plastic surgeon SEO framework surrounds medical professionals focal to plastic surgery and cosmetic surgery. Visit optimizedsurgeons.com to learn more. NKPMedical is renowned for their ability to deliver top rankings for plastic surgery based websites. Besides the fact that they offer SEO services to businesses within the medical field, they can provide medical website design services as well as to take over an already existing website. 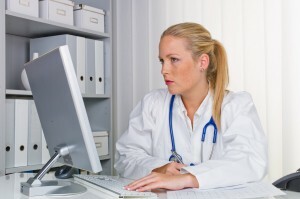 They can also work with you to create patient referral websites as well. However, the most distinctive feature of their service is that the company proclaims that they are able to optimize an unlimited amount of keyboards as well as keywords plus locations for the agreed upon rate. Visit nkpmedical.com to learn more. Unlike some medical optimization firms that use templates in their medical website design process, Omni Medical Marketing proclaimed that this can actually hurt a site’s ranking and chooses to build their client’s website from the ground-up, in regards to offering functionally, providing value and being search engine optimized. Visit omnimedicalmarketing.com to learn more. or example, one of the programs they have is called ‘LeadESP’. The company proclaims that LeadESP is a lead management program that gives you the opportunity to see your visitors in real-time. In addition to that, you can see their mouse move in real time so that you optimize your site in a way to increase conversation rates. The program essentially helps you to better understand who your visitors are and even allows you to see their social media account information. Visit growthmed.com to learn more. If boosting traffic and sales on your website is one of your your business’ goals for 2016, then it is time to make it happen by investing in highly responsive web development. Trends in web design and web development keep shifting as the need to conform to the needs of both the users and search engines keep increasing. One thing that stands out however is the need to rank high on search engines, boost traffic and get high conversion rates. Here are future trends of web development for 2016 that can help you achieve these objectives. Mobile enabled websites dominated the trends in website development in 2015 and this will continue in 2016. Web designers need to recognize that you can never predict the user’s in terms of what they use to access your website should resist the temptation to create PC version alone. Further, statistics show that more people are browsing the internet using mobile devices like smart phones, iPads and tablets as opposed to laptops and desktops. Ensure your website is mobile enabled to attract more traffic. One mistake that many Peoria, IL web developers commit is creating two versions of the same website using different URL’S; the PC version and mobile and mobile version. Other than making these two URL compete for ranking, they can confuse users thus hurting your website. Search engine visibility and higher ranking is the top concern of any web designer or business interested in search engine optimization (SEO). SEO is a proven way of getting traffic as users will click on your website before getting to competitors. 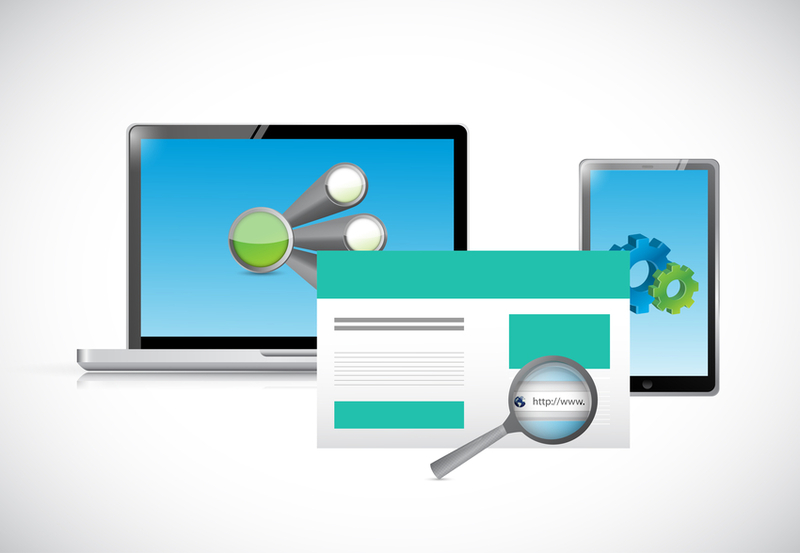 How to ensure the website is SEO-friendly is a common challenge in web development. This begins by investing in coding to ensure all aspects of the website such as URL’S are meaningful, straightforward and SEO-wise. Including your keywords on your URL as opposed to using general terms is one way of ensuring Google crawls can pick and index your website. Ensuring your content is fresh, relevant, unique, informative and original will not only earn your higher ranking on Google but also the trust of the users. Another trend in creating search engine friendly content is avoiding instances of keyword stuffing. Use of keywords should be done accurately and properly to avoid being penalized by Google. Web development companies like FacetWebTech.com offer professional solutions when it comes to SEO-friendly web development and design services. The role of social media in web development will continue to trend in 2016 as more users continue to get information about brands and products on social media. This trend is not new, but how you use social media in improving your ranking and traffic should change. If you are constantly talking about your business, products or brand on your Facebook posts and tweets, then you might come out as boring to your audience. Keep your posts and tweets interesting, engaging and if possible humorous to the users. Talk about trending topics related to your industry and seek to engage your audience or offer expert advice to respond to trending concerns. The use of YouTube will increase in 2016 since videos as entertaining, brief and interesting to watch. Thus, create a small video description of your brand or products and share on your other platforms. This is not a new trend in web development but a strategy that has been around yet has been ignored for long. Calls-To-Action are the one thing that you should invest in to get value for your money, especially when hiring a web development company. You can have millions of users but if not even a single one of them buys a product then you is missing the whole point of digital marketing. One way to ensure your CTA remain effective is the use of CTA related to your business as opposed to generic CTA. Generic in this case refers to the common ones found in various websites like “buy now”, “order now” or “add to cart”. Instead use unique customized CTA like “click to see our pricing” as opposed to using “subscribe now”. Location of the CTA is another important element of web development. Research has indicated that putting the CTA at the bottom can boost conversion rates as opposed to placing it at the top of the website. The rational explanation for this is that users want to see what you can offer first before committing themselves. Although this trend begun in 2016, it is expected to dominate the world of web development in 2016. This simply means dividing your website into two halves and having separate content for different users in each. For instance, you can have a side for administrators and one for users. Other that increasing usability of your website by making it easy for users to choose what they want to choose, this trend can make your website organized thus putting you above your competitors.